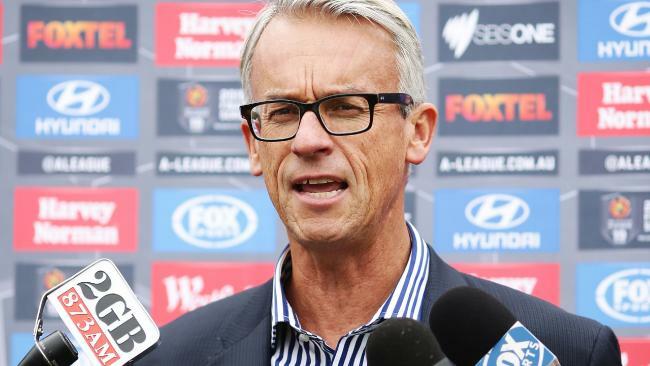 Football Federation Australia chief executive David Gallop has promised that A-League expansion will happen "sooner rather than later", but it will still take a back seat to securing the game's sustainability. The A-League held its season launch at Sydney's Olympic stadium on Tuesday, but the interest soon turned to the competition's future beyond the 2016/17 campaign — which is the last in the current television deal. 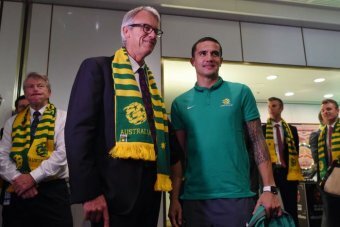 The FFA boss told reporters that "we want to move to 12 teams relatively quickly", and that adding more teams to the A-League could happen within the next four years. "I think expansion will come sooner rather than later. 10 teams is too few," Gallop said. "We've got some important commercial deals to do and driving sustainability into the 10 clubs and backing the investment of the owners is important, but I think it's not far away that we'll see ourselves move to more than 10 teams." Gallop also said that expansion of the current top tier would come before the creation of a second division. "The ultimate prize of promotion and relegation will happen in Australian football, but there's a lot more that needs to happen before we could sensibly move to promotion and relegation," he said. "I think with the introduction of the NPL (National Premier Leagues) system, the FFA Cup, you can see that deliberate steps are being made to close the gap between the A-League and the rest of the game." The comments come at a time where some clubs have protested a lack of influence, but Gallop is not ready pass on control of the sport's premier competition. "A fully separate A-League is not on our agenda at the moment," Gallop said. "I think enormous gains have been made. We're in a very competitive environment and making sure that the commercial backing of the game is attractive to sponsors, to broadcasters, in a way which connects the top to the bottom is at the moment the priority." The A-League launch was attended by the captains of the 10 clubs, and Newcastle Jets skipper Nigel Boogaard is bullish about the sport's prospects. "I think it's (the A-League) been progressing well over the 12 years, obviously (I've) been around since the start, so seen it at its infancy and where it's at now," the former Central Coast and Adelaide defender said. "I think there's room to grow the game, I think there's a lot of junior participation. I honestly think we can challenge some of the biggest codes in the country." The A-League's focus ahead of its 12th season is winning over some of those young players, with the slogan "You've Gotta Have a Team". "We know there's two million people playing the game. We want to connect those people with the A-League," Gallop said.